Dr. Elnadi is a caring and compassionate dentist who always practices health-centric and comfortable dentistry. He takes time to understand needs of each patients and help them accordingly. Utilizing the latest techniques, he ensures patients are comfortable and informed during all procedures. His calm demeanor and advanced knowledge can help to put even the very anxious patient at ease. Having completed his doctor’s degree of dental surgery from Howard University College of Dentistry, he went on to further pursue his passion and completed his post-graduate training in Advanced General Dentistry at University of Maryland. He has a strong academic background and good experience of working on research and evidence-based dentistry. 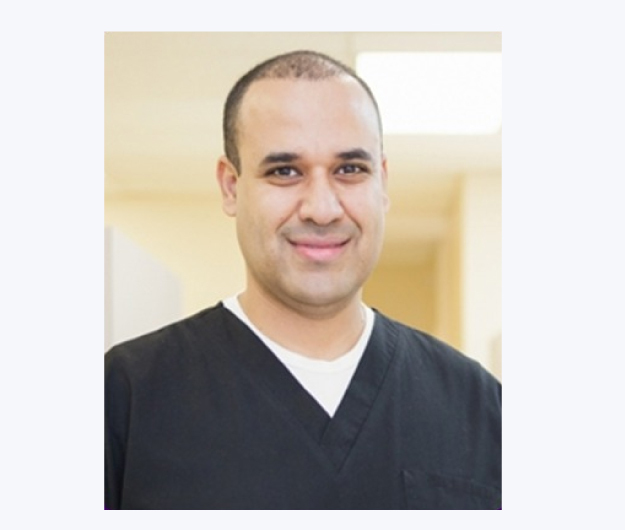 Understanding the importance of being a life-long learner, Dr. Elnadi has taken numerous continuing education courses on implant dentistry, aesthetic dentistry and Invisalign®, to name a few and is currently pursuing a fellowship in the Academy of General Dentistry . Rich qualification and years of experience allow Dr. Elnadi to tackle both need-centered as well as cosmetics problem with equal confidence. His caring, gentle, and friendly nature allows patients of all age groups and with all severity of dental problems leave the chair feeling far more relaxed than when they came in. He always wears a gentle smile that make each of his patients’ feel they are well cared for. When Dr. Elnadi is not working, he is a busy family man and love fishing and gardening.